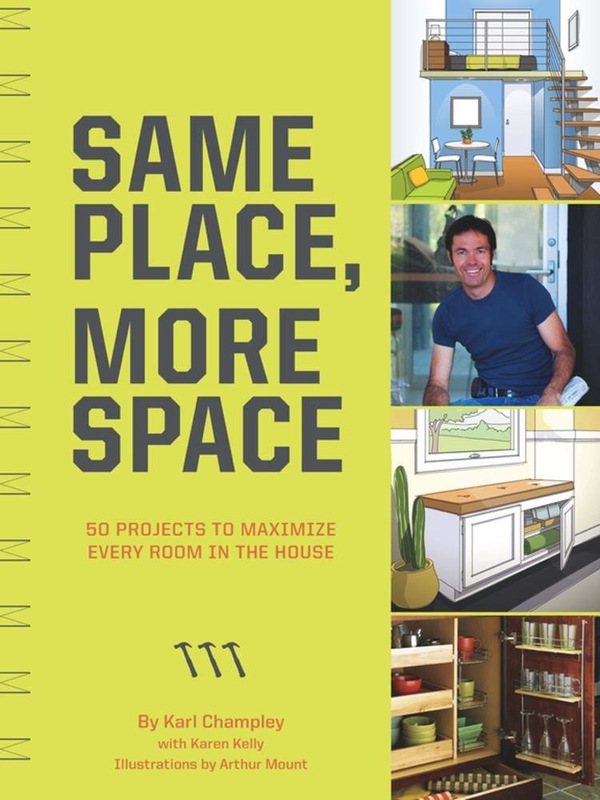 Master carpenter and DIY Network host Karl Champley offers 50 home improvement projects to maximize space in any dwelling, no matter how big or small. Keeping an eye on style and economy, Champley outlines tools, materials, and techniques for searching out and using hidden-away space to achieve incredible results. Readers will learn how to carve out shelving niches between studs in the wall, tuck more into kitchen cupboards, build hidey-holes beneath floor boards, and much more. The projects range from easy organization solutions to weekend construction projects and more ambitious undertakings. With easy-to-follow instructions for making more out of less, detailed illustrations, and no-nonsense advice on clutter control, Same Place, More Space makes it simple to create a more functional, expansive, and beautiful home without moving or remodeling. Acquista Same Place, More Space in Epub: dopo aver letto l’ebook Same Place, More Space di Karl Champley ti invitiamo a lasciarci una Recensione qui sotto: sarà utile agli utenti che non abbiano ancora letto questo libro e che vogliano avere delle opinioni altrui. L’opinione su di un libro è molto soggettiva e per questo leggere eventuali recensioni negative non ci dovrà frenare dall’acquisto, anzi dovrà spingerci ad acquistare il libro in fretta per poter dire la nostra ed eventualmente smentire quanto commentato da altri, contribuendo ad arricchire più possibile i commenti e dare sempre più spunti di confronto al pubblico online.